We threw a party! 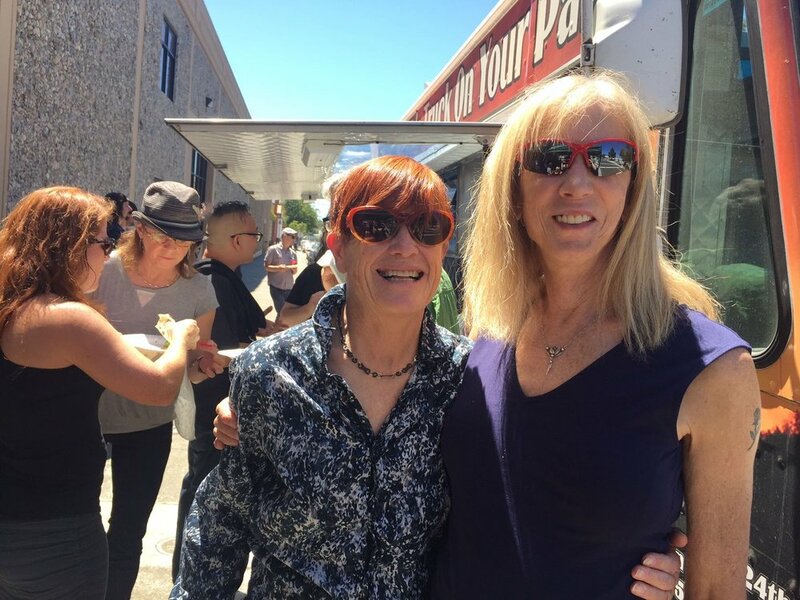 We celebrated our grand opening in July with an afternoon of food (taco truck! ), music (street side jam! ), trivia (with prizes!) and an all-around good hang with our fellow engineers, musicians and friends. Thanks again to our friends who donated equipment for giveaways: Brian Loudenslager of Lauten Audio, Joshua Thomas of Rupert Neve Designs, Simon Cote from Audio Plus Services, Erica McDaniel and Lev Perrey from Universal Audio, Jon Reichbach at Sonic Studio, Matt Strickland of Snareweight and Zane Howard of Second Line Vinyl. Special thanks to Damon Gramont from Bricasti Design for making the trip from Southern California, and to Allen Perkins of Spiral Groove turntables. Michael Romanowski was joined in the studio by GRAMMY Award-winning producer and engineer Leslie Ann Jones to master the newest release from soprano Ann Moss, Love Life. He also mastered the Alexander String Quartet's Apotheosis - Mozart: the Four Final Quartets, a 2-CD set of Mozart's late works, beautifully recorded right around the corner at Fantasy Studios and available as high resolution download via Naxos this fall. 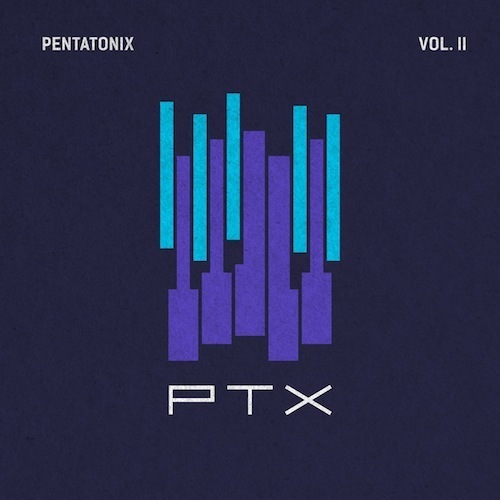 Michael did the vinyl mastering for Pentatonix's 3-LP set, PTX Vols. I, II and III, mastered 2 CDs by the SF Jazz High School All-Stars (both the big band and the combo), and Diego's Umbrella's EP Songs For The Juerga. Michael continues to serve as a Trustee of the Recording Academy, SF Chapter, and is co-chairing the recording and production track for the upcoming AES conference. In a marathon weekend, Piper Payne mastered 40-something tracks for David Earl's synth-tastic soundtrack to Doublefine’s new video game, Headlander. This one’s coming out on vinyl soon! She also worked with Beautiful Machines on their newest release, Bridges, mastered a hot new single from newly named Van Goat (formerly known as Bear Lincoln), and this utterly amazing song/video from Mr. Linen. (Truly, check out the video!) The awesome video for "Do What You Want" by Kendra McKinley was directed by teenagers through non-profit OMG Everywhere. Piper mastered Kendra's new album Treat. Piper is also the newly elected President of the Recording Academy, SF Chapter and, because she doesn’t have enough to do, she has joined the board of our local AES Chapter as well. Jessica Thompson finished digitizing a huge stack of analog tapes from the archive of jazz and blues singer and political activist Barbara Dane just in time to start working on huge and very exciting archive (details TBD!). She mastered Eric Sommer’s new album Brooklyn Bolero, Tory Hanna and the Pondsider’s well-received Americana record Learning to Share, Thee Shambles’s heartbreaker Lonely à la Mode and, from nostalgiacore electro-indie-masters Occurrence, The Past Will Last Forever. Since Coast engineers are always seeking ways to be involved in the greater music community, Jessica also joined the board of the SF Chapter of the Audio Engineering Society. Thursday 9/29/16 - Jessica Thompson moderates a panel on collaboration between archives and record labels with Michael Graves, Cheryl Pawelski, Steve Rosenthal and Jamie Howarth. Thursday 9/29/16 - Piper Payne joins Terri Winston, Laura Sisk and Marcella Araica to talk about All Star Album Production. Friday 9/30/16 - Michael Romanowski helps us figure out the age old questions: When Can I Call This Song Finished? Saturday 10/1/16 - Michael moderates the Platinum Engineering panel. Saturday 10/1/16 - Michael joins fellow mastering engineers Adam Ayan, Emily Lazar, Gavin Lursen and Andrew Mendelson on the Platinum Mastering panel, moderated by Mix Magazine's Tom Kenny. 10/26/16 - GRAMMYs in my district. Find out how you can get involved at http://grammypro.com/advocacy. Thank You To All Who Came To Our Party! Thank you to everyone who came to our party last Saturday! It was our chance to celebrate the grand opening of Coast Mastering, but also an opportunity to bring together musicians, engineers, producers and more for an afternoon of food, music and friendship. We had a great time seeing everyone. It was awesome to engage in conversations and listen to a lot of music in all of the different spaces, including the pickin’ out by the taco truck. We have a great team at Coast Mastering, and I’m proud to have Piper Payne and Jessica Thompson as an integral part of our facility. Jessica is approaching her first anniversary with us since moving from NYC, and Piper just passed the five year mark. Very big thanks are due to our assistants Cherron Arens and Audrey Howard for all of their hard work getting ready for the party and every day at the studio. Additional big thanks to Gabe Horn and Ella Cooley. We are enormously proud to be a of part of this music community, and we will always do our very best to make sure every record by every artist we work with sounds as good as it possibly can. Hope to see you at our next party! 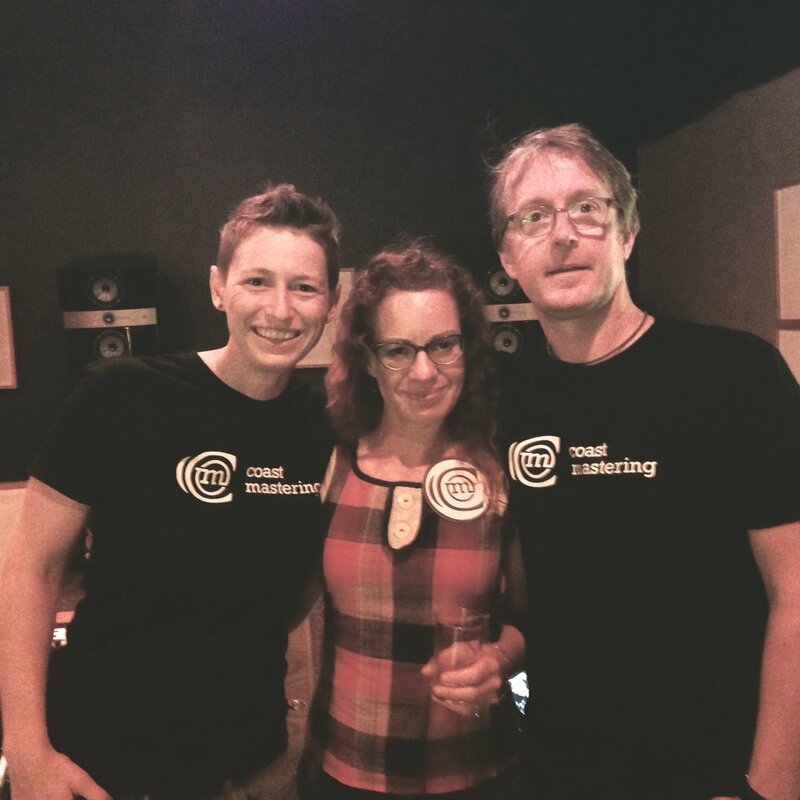 Coast Mastering Grand Opening Party! Come celebrate with us! We moved into our new studios in Berkeley last fall, and we want to share them with you. We'll be hanging out all afternoon with drinks, food and, of course, good hi-res music. There will NOT be a dunk tank, but there may be an ADAT piñata! There will be a sidewalk jam, so bring an instrument. And we have some great giveaways! Come on by, and bring a friend! Please RSVP on our Facebook page. New gear, a new wall, a bunch of new releases - that's what's new at Coast Mastering! We are continuing to settle into our new studios in Berkeley and promise to hold an open house soon. Both rooms are now equipped with the SPL Iron Mastering Compressor. We all demoed this compressor and loved it so much that we not only kept our demo unit, we bought a second one. We also built an equipment hallway between the stereo mastering room and the archiving room. Equipment hallway!! Michael Romanowski was honored to master Phife's Dawg's posthumous release "Nutshell," with beats by the late J Dilla. Download at iTunes and 50% of the proceeds will benefit the American Diabetes Association and the National Kidney Foundation. He also mastered Steven Cravis's new record Cloudwalker - available as Mastered for iTunes in addition to the usual formats - and Melody Parker's lovely new release Archipelago. Piper Payne mastered the new Abbot Kinney EP The Night, Erin Honeywell's upcoming release Speak Love Truth, and Lake Lady's Better Day, all of which are garnering excellent reviews. Coming on July 1st, do not miss the new Beautiful Machines album Bridges. You can also get this one on vinyl later this summer. Kendra McKinley has a few sneak peeks of her new album up, as well. Check out the Bay Bridged debut of Party Mask. Jessica Thompson is almost finished digitizing an archive of nearly 100 analog tapes dating from the mid 1950s to late 1970s. These tapes hold recordings of powerful live performances by blues greats, candid after hours jam sessions, political rallies and studio sessions. With any luck, we'll see some of this material released in coming years. Jessica also mastered Awalom Gebremariam's Desdes for Awesome Tapes from Africa and had the extreme pleasure of mastering her first - hopefully not last! - zombie themed bluegrass song for The Tumble's debut album Almanac. We're planning a Grand Opening Party / Open House at Coast Mastering for July. Stay tuned for details!